Google announced today that their social network platform, Google+, is now going to be available for K-12 schools. Previously it was only available for businesses and government organizations. Google+ is similar to Facebook, but works on the premise that you sort the people you follow into circles. You can share information, links or media with circles of your choice. 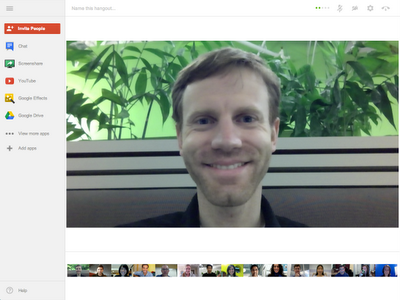 Embedded within Google+ are the popular Hangouts – a video conferencing tool that lets you host multiple people at once in the same video call. Part of the announcement today was that Google has raised the limit on the number of people you can have in a Hangout. You can now have up to 15 people on the same call! The Hangouts have lots of built-in extras like screensharing, doc sharing, visual effects, and more. They can be scheduled in Google Calendar or joined right from Gmail. Lots of Google based schools have been wanting to add Google+ to their arsenal of Google tool because the potential it has for the classroom could be huge. When you couple the Docs suite of tools with Google+, you could have something akin to an all-in-one learning management system that students could use to complete assignments and participate in class discussions. Google+ should be available to all Google Apps schools in the next few days. Will you be among those first in line to put it to use, or are you waiting to see how others implement it in their schools? Leave a comment below. How does it work? Simply visit the Gone Google Storybuilder and hit the big red button to get started. Then add the names of the characters you want to star in your story. Then fill out what you want each character to type, (overwriting or correcting the previous character where needed, and add some music. Once you are done you get a URL to share your story with others. Easy and fun. Have you created a story that you would like to share with us? Leave a link in the comments below and share the creativity of your students or show us your own talents! You’ve seen it before. You add a Google Site to the homescreen of your iOS device, and you get that generic Google Sites logo as your icon. For an individual user, it’s no big deal. However, for Google Apps schools, it is much more of an issue. They may want their students (or staff) to bookmark several different Google Sites websites. So, what would be a good way to differentiate between these sites on an iPad or iPod Touch homescreen? An Apple Touch icon. The Apple Touch icon is a small image that will replace the generic Google Sites logo as the homescreen icon and help your bookmarks stand out more. They are easy to create, and require very little technical expertise. So, if you are interested in creating an Apple Touch icon for your Google Site, watch the video below. I made it in less than 5 minutes, and with a little bit of practice, so can you. All you need is a royalty free image, and a little imagination. The ease at which an Apple Touch icon can be made will quickly compel you to add these to the default list of things you add to a new Google site, but don’t stop there, because you can add a favicon to a Google Site just as quickly. I recently attended an Apple workshop on using Apple Configurator and managing a Volume Purchase Program in schools. I am doing both already, but I i picked up a few useful tips. Participants were also sent some links to Apple resources on both Configurator and the VPP, and I don’t think that some of them are all that well known, so I am listing those below for anyone that might be interested. Another useful thing I found recently was the US phone number for the Apple Enterprise team, who have been very helpful answering questions I had on problems with Apple Configurator. You can call them on 1-866-752-7753. I can’t say enough good things about the people I have dealt with in that team, so I am sure they could be a great resource too. I realize that these may be a little technical for some people, but please forward them to your IT team to let them take a look at all that Apple has to support educators in the classroom with iOS devices. At a workshop today, I got talking to a High School teacher (@MrsMoses227) who uses the Goodreader app for her iPad workflow solution. It wasn’t a method I was previously familiar with, but it worked very well for her, so I thought I would share it here for anyone else that might be interested in following a similar path. Goodreader, if you don’t already know, is a powerful PDF reader, but that is only half the story. It allows you to view almost any file type you can think of, watch movies from a variety of formats, and even unzip compressed folders. You can connect with numerous cloud accounts, copy, move, rename or transfer files, and send them to other apps. Finally, there is an intuitive number of annotation tools for marking up PDFs, and tabbed file viewing. So, you can see why it is often referred to as the Swiss Army knife of productivity apps on the iPad! So, what did this teacher use it for? Well, she asks her students to email their assignments as a PDF. These emails go to her Google Apps Gmail account, which she can access through Goodreader, because Goodreader can also connect to a variety of email servers through POP or IMAP. The app doesn’t show all your emails, just those with attachments that Goodreader can view. She opens the students’ PDFs in Goodreader, annotates them accordingly to grade the paper, and emails them back to the students as a flattened copy, right from the Goodreader app. As a workflow option, it is not necessarily all that new, because you can do very much the same thing with Notability and a shared Google Drive or Dropbox folder, but being able to collect the assignments right from her email, grade it, and return it all from the one app, is still a very efficient solution. You can even streamline it further by using Gmail filters to send each class’s assignments to a specific folder so you don’t have to worry about cleaning out your inbox afterwards. Do you have a preferred iPad workflow for your students? What have you had the most success with and why? There has been a few things going around Twitter recently about the 1 iPad classroom, and for me it has been good timing. I will be visiting a school on Friday who asked me to give some tips and ideas about how to use only a handful of iPads in the classroom. Some have one, some have two or three, but none have any more than that. So, I thought that this would be a great time to revisit the 1 iPad classroom to discover the latest ideas and influences. Too often, it is easy to get caught up in all the talk about 1:1 initiatives, or multiple iPad carts, when the reality for a lot of schools is quite the opposite. I myself ran a 4 iPod Touch classroom for a couple of years, so I remember the challenges of managing this, making sure all students have equal access to the technology, and trying to find ways to involve as many of the students as possible in meaningful learning activities. It’s not easy, but it can be done, and there are a lot of great ideas out there from those that do it on a daily basis. So, in the interests of sharing, here are a number of useful blogs and websites that I came across while researching some ideas for the school I am visiting this week. Some you may have seen before, while some may be new, but all are great resources for educators in a 1 iPad classroom. What was interesting to me though, was that almost all of these resources are from elementary teachers. You don’t hear much about the 1 iPad Middle School classroom or the 1 iPad High School classroom. What does that say about the state of mobile technology in our schools today? Regardless, I want to take the time to say thanks to all who took the time to create these resources for the benefit of others. Feel free to add any of your own favorites to the comments below. One iPad in the Classroom – What Can you Do? One Music Class, One iPad, Now What? The iPad has a host of great accessibility features that are built-in to help make the device more accessible for disadvantaged learners. However, today I was asked to think a little bit outside the box. I had a request from one of our consultants that was working with a teacher who wanted to link their iPad with a student’s iPad in real time. So, three of us sat down and put our heads together to try and figure this out. It didn’t sound easy, but surely, there must be some way of doing this. There was. Here’s how it works. The teacher links her computer with the student’s iPad via the free join.me service. This allows the student to view everything on the teacher’s computer, but not interact with it. We’ve done this in the past, and it works great with the join.me iPad app. However, this alone did not fix out problem. This does not get the image of the teacher’s iPad to the student’s iPad. To do that, we will use Reflection, or AirServer. [Kudos to my superstar supervisor, Stacy Behmer (@sbehmer), for suggesting the AirPlay link]. So, the teacher’s computer is linked to the student’s iPad with join.me. The teacher then projects her iPad to her computer with Reflection or AirServer. Because the image of the teacher’s iPad is now on her computer, the visually impaired student also has the image of the teacher’s iPad! Then all that is left is for the teacher to plug their projector into their computer, and voila! So, there you go. It is possible to link two iPads together for a real time mirrored image. There is not really any chance for direct collaboration, but for this purpose, it was ideal, and it is yet another example of how the iPad is helping to break down barriers and increase accessibility for students in the classroom. 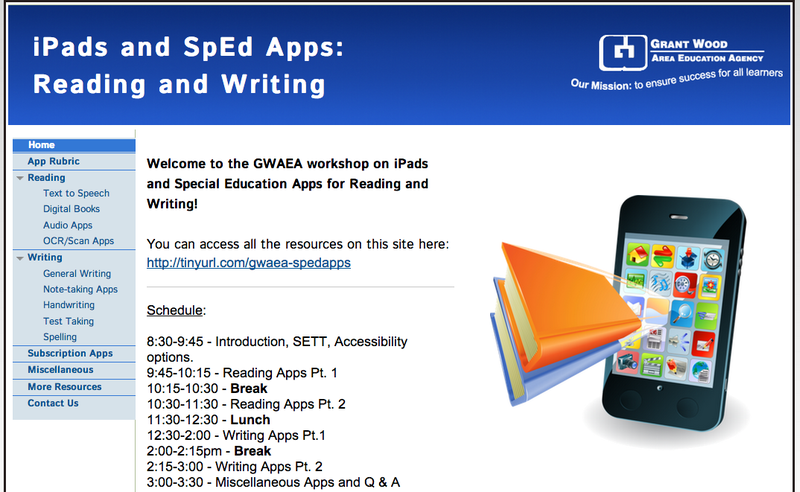 Yesterday, I co-presented a workshop with a well respected colleague of mine on special education iPad apps that can be used for reading and writing. It was a one-day workshop that was well attended by local educators who were looking to further integrate the iPad into special education classrooms to help further Language Arts goals for their students. We looked at text to speech apps, digital audio book apps, storytelling apps, test taking apps, note taking apps, handwriting apps, and more. There is a huge number of reading and writing apps for the iPad out there, so narrowing it down to a manageable number was quite the task! However, in my experience, being spoilt for choice is never a bad thing when it comes to good educational iPad apps. You can see the final list if you visit our workshop site. I learned a lot from my research for this session, but if there was one thing I discovered a shortage of apps for, it was for apps that accurately and efficiently turn printed text into natural, spoken words. Students with reading difficulties need a reliable solution for this. VoiceOver and Speak Selection are great features in many circumstances, but they don’t work very well, if at all, with things like PDFs. (VoiceOver works but there is no way to pause or stop it once it starts, and it changes the touch interface controls on the device). Then there are the students who only have a printed textbook or novel. How can we make that text more accessible for those students with special needs? There are apps we tried that claim to work in situations like this, but they only did so with mixed success. OCR apps are useful, but again not always as accurate as you might want, and they often involve extra steps or apps to complete the reading process. So, if there are any developers out there looking for a gap in the market, this might just be it. Educational publishers can help out too. What about HTML5 versions of online textbooks with built-in audio voiceovers? Shouldn’t these be available for free with every printed textbook a school buys? Yes please! 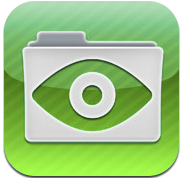 Do you have favorite reading or writing apps for special education students in a K-12 learning environment? Which ones do you like best and why? Educators looking for a way to discover new iPad apps…for free…might want to take a look at the Happi Papi App Evaluation Program for Schools. Teachers who sign up get to test drive Happi Papi’s and other developer’s apps for free, in return for filling out a short evaluation survey that takes your feedback as an educator to help revise or improve further app development. Once enrolled, you will get an email about once a week, offering you the chance to try a specific app. If you like the look of it, you simply click the link in the email to register your interest. You will then be send another email that gives you a redemption code that you can use in the App Store to get a free copy of the app. After about two weeks you will be sent a link to a survey for the app you received. Completing the survey is not mandatory, but I think it is a great way of informing developers about the kind of features that educators like or dislike in an iPad app, and I am all for improving apps that are designed for the classroom. I have had several apps since I signed up for the program. Some I thought were great, others less so, but that I always enjoy seeing what new ideas developers are coming out with and how they are looking to market their apps for the classroom. So, if you are interested, and have not already signed up, head on over to the Happi Papi Evaluation Program and give them your email address to get started. InfuseLearning.com is a free online assessment tool that is designed to let educators make fast and easy formative or summative assessments of their students. It is a relatively new service, but one that is gathering support quickly due to its versatility and ease of use. InfuseLearning is like a unique, virtual classroom that you and your students log in to. It lets you quiz your class on topics of your choice, and it records the students responses so that you can use the results to inform your teaching. Quizzes can be given in one of two ways. There are the quick fire questions that teachers can use for immediate feedback. (True/False, Multiple Choice, Sort and Order, Open Ended Text, Numeric or Likert Scale are all possible choices for this). The teacher would ask the question orally, or have it displayed at the front of the class, and students can respond on an internet enabled device. Responses are displayed in real-time on the teacher device. The second option for teachers is to create a quiz ahead of time. Students can then complete it at their own pace, and all the questions and possible answers will be online and displayed on the device that the student is using to take the test. An added feature here, is the ability for the students to have the questions read aloud, or even translated into another language and then read aloud. This is a great feature for ELL students, but teachers can choose whether to enable or disable these features on a student by student basis when they create their own class. In this way, it can also be a very useful tool for MFL teachers. However, my favorite feature of this free online assessment tool is the fact that it is a cross-platform site. This means that it is not device specific. It can be used on Macs, PCs, iPads, Andriod tablets, Chromebooks, or just about anything else with a modern web browser. So, InfuseLearning can be used in the classroom whether you are 1:1, BYOD, in a computer lab, or a classroom with a variety of devices, and that versatility is something that should not be dismissed quickly, particularly when you consider that this tool is free to anyone who wants to use. Check out the video below for an overview of how InfuseLearning works in practice, and leave a comment below if you have successfully used InfuseLearning in your classroom.